In our first-ever Lore Roundup, we learned about the rise and fall of the Overwatch organization, and met the main three heroes of the lore – Soldier: 76, Winston, and the irrepressible Tracer. 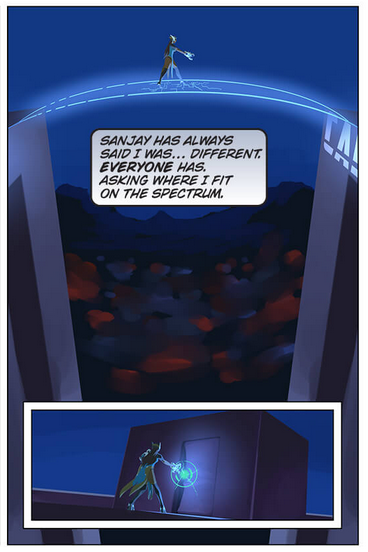 We know Winston has put out the call to reform Overwatch, but so far, none but Tracer has answered. Where is everybody? 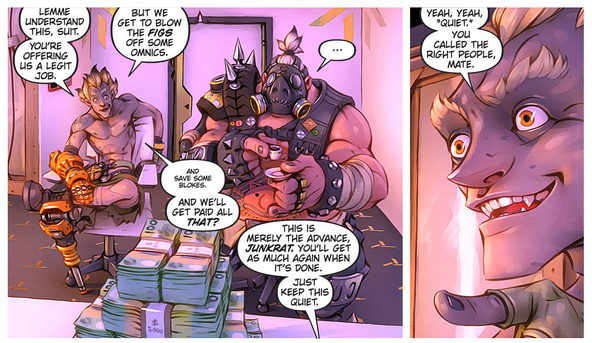 This week we enter the world of Overwatch digital comics, and the offerings are actually pretty enjoyable. The books are beautifully drawn, and the writing is snappy and tight. 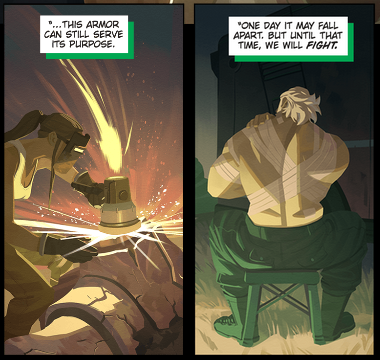 This edition of Lore Roundup is basically a “where are they now” style stretch of lore, collecting the one-shot comics introducing gamers to individual Overwatch characters from April through early May, as well as the further adventures of Tracer. For what it’s worth, this is my personal favorite animated short Blizzard’s cinematic team has put out so far. While Tracer is flicking Widowmaker’s crosshairs in London (that sounded a little dirtier than I intended), another arm of the Talon organization is up to no good in the American southwest. And there’s only one fugitive with a heart of gold who can stop them. The comics are actually available in several formats, but against my every instinct as a comics fanatic I’m going to recommend the motion comics. 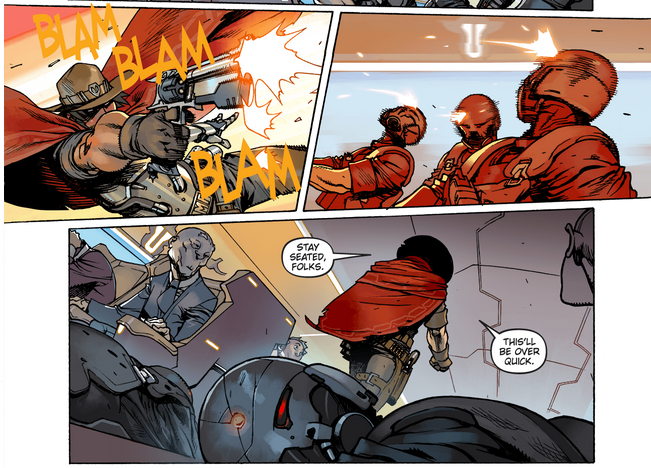 For ten pages of colorful, extremely fast storytelling, a little music and SFX go a long way. Overwatch may have been shut down, but Reinhardt Wilhelm’s heart is too big to let injustice go by uncorrected. So he has spent the last five years traveling with his assistant Brigitte, keeping his armor going with scrap, and generally righting wrongs. When the pair find a small town under siege by a ruthless gang, the old knight wastes no time stepping in. Before every battle, Reinhardt can be heard happily humming Black Sabbath’s “Iron Man” to himself. While agents of disorder sow their mayhem, an acolyte of order pleads to be allowed to use her talents. Satya Vaswani knows she can remake the slums of the Favelas and improve the lives of its residents. But how far will she go to make her dream a reality? When are they adding THIS ability to the game?? Be on the lookout for the next Lore Roundup, where we’ll continue following the trail of Overwatch‘s surprisingly colorful lore!